Handling a ton of work and personal projects can turn into a nightmare if you don’t have the right work tools at hand. You’ve probably known about the Asana project management tool for a while now. It’s one of the most advanced options on the market — and surely one that can take the stress out of your work routine. Especially after you go through this advanced tutorial on using Asana to effectively manage your projects. But let me start with a quick word play first. Did you know that ‘asana’ is a yoga term that in direct translation means ‘seat’? Well, striking the right pose in yoga signifies that you are in a position where you can stay comfortably and relax, however difficult that pose is. And here comes the common ground between a project management tool and a 1000-year-old spiritual tradition. The Asana project manager is a work tool that allows you to be in a good place and get rid of hectic workflows, however heavy projects can be. But what exactly is Asana? What is Asana used for? Well, it’s a tool for organizing personal or team work, basing the system on individual tasks framed into bigger projects. It’s a faithful friend in the fight with deadlines and work chaos. Asana was created to replace the use of email for work communication and collaboration. Before the current wide adoption of project management tools, it was a common practice that all work decisions and task organization were executed via email. Since email does not allow information to be arranged in the context of projects and tasks, handling all incoming notes and requests can become a hellish experience. There’s barely anybody left out there who still thinks that project management via email can be productive. What Asana does instead is embedding email communication within the project management experience. PRO TIP: Got a relevant message in your inbox? Just forward it to Asana by sending it to x@mail.asana.com. Besides taking the load from your inbox, Asana helps both individuals and teams break down big tasks into manageable pieces. The smallest work unit is a task, which is embedded within a project. You can add details to and manage each task in a number of ways, such as including files and comments, which gives you a great sense of control. This also makes the mind mapping of huge projects easier — and logical as a process. From managing the work of a whole team to handling your personal daily tasks, Asana does the job. Whether you are running a marketing agency with remote workers or a brick-and-mortar shop selling computers, this project management tool can be irreplaceable for organizing and making sense of daily tasks. 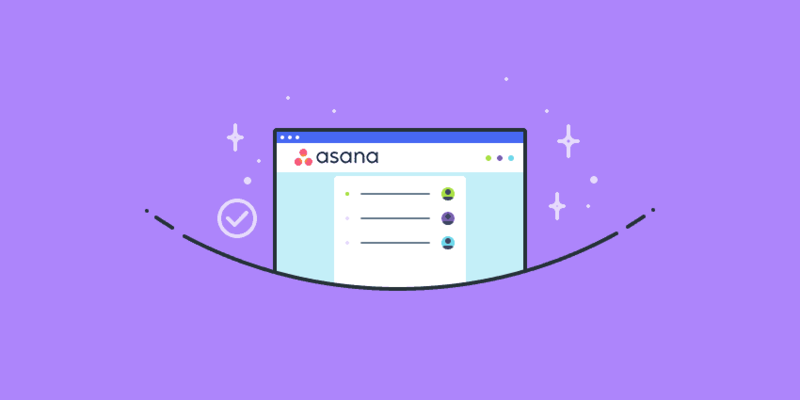 Within your company, or for your own task management needs, you can create a variety of Asana projects that are dedicated to specific aspects of your activities. 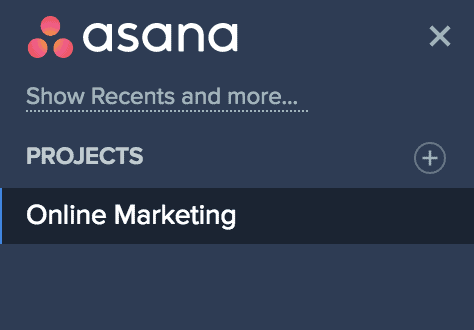 Let’s see how to use Asana to manage projects. In some cases, a project will be used for a certain period of time only. For example, if you are organizing an event, this Asana project will be active until the event has passed and can be then archived. Alternatively, a project can hold information about your ongoing work for a client, which means it will stay active for as long as needed. But on top of these two common uses, Asana projects can serve you well for a bunch of other activities that are taking up a lot of your time. Let’s jump right into them. Tired of disorganized and unproductive meetings? You can create a recurring project for your monthly team meeting. Each team member can add tasks to it, so when it’s time to get together, you will have a complete meeting agenda. Having trouble with a messy content creation process in your organization or for your own blog? You can give a shot at using Asana’s calendar as your Editorial Calendar. Each planned content makes up a task, where you can attach the document and keep all relevant information at hand. How about making product launches and releases smoother? Just use a single project to coordinate the activities of different teams in your organization, so that you are all on the right track for the big day. Repeating process templates and pipelines are another great application for Asana projects. If you regularly undergo a certain process in your team or solo work, a template with the common set of tasks is an efficient way to save time and remember important steps. 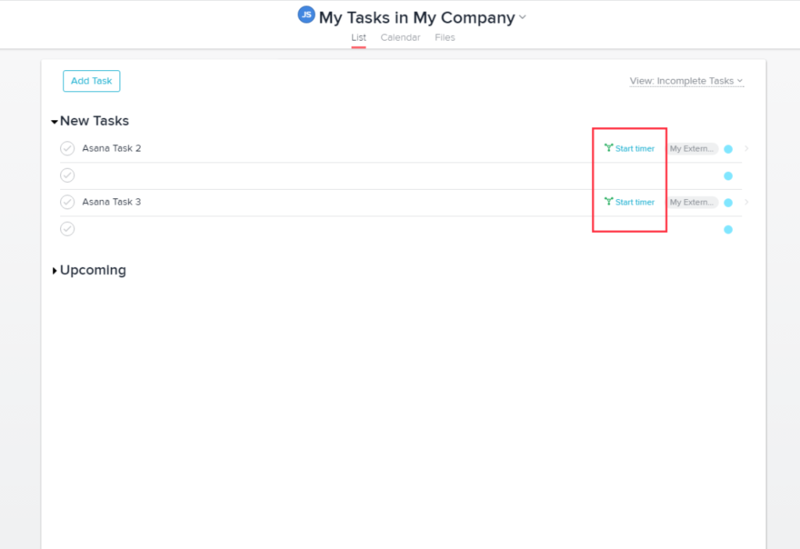 You can also make task templates to make recurring work even easier. You can use an Asana project for your internal communication, too. Staff and team announcements can be hosted within a project, keeping team members on the same page and allowing for internal discussions. For a better overview of teamwork and a greater level of accountability, employ projects for creating roadmaps and goal tracking. They can help you stay on top of long-term planning and team progress, as well as contribute to transparency in your common work. Managing HR processes can get smoother with Asana. Just create a template for onboarding new members or tracking of candidates in the process of interviews and hiring. You can put the project management tool to work for your internal reporting as well. Management reporting, as well as employee development and progress meetings, can be hosted as separate projects. This ensures all internal feedback won’t get lost in piles of files. Last but not least, why not experiment with Asana for organizing your library or resources, or to keep track of your inventory? Then tasks can be used as units in your stock or to signify a document. You can easily add deadlines and additional information for each item. 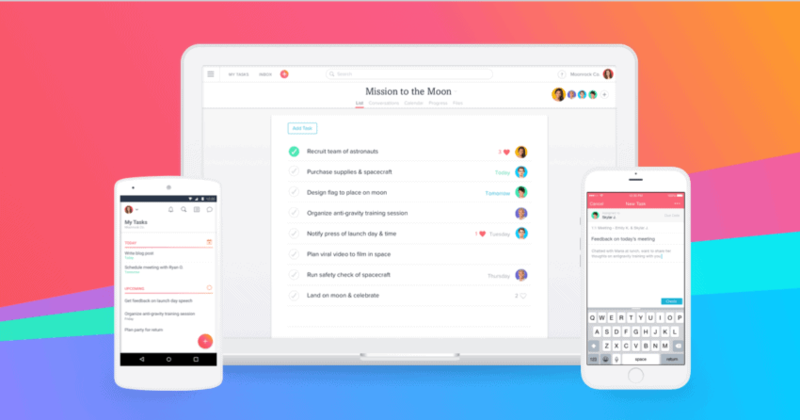 Asana’s creators have crafted its internal structure in a smart and flexible system that allows constant evolving and adapting to the needs of people. It is based on deep insights into the ways people work, especially when it comes to team collaboration. Before we delve into the actionable steps you can follow for teamwork or personal use, let’s get a quick overview of the intricate universe hiding in this project management tool. Workspaces are the big building blocks of your Asana tool. They can be synonymous with your whole company, or you can have a separate workspace for, say, each client that you work for. For your personal task management, you can create a set of workspaces to stay on top of different priorities in your life. For example, you can place all your personal tasks in one workspace while sharing another workspace with family members to plan common activities. Within workspaces, you can create numerous projects to match different areas of focus, whether it’s work or personal matters. Search is easy and customizable, so it’s a smooth experience to get around the place. You can invite different members to different workspaces. The information shared in a certain workspace will be visible only for these select people. One level below, workspaces are where all your projects live. They are a main organizational unit in Asana and can be both public and private. Plus, they can be displayed through different filters: priority, assigned people, and tags. You can color-code them and move them around as needed. Sharing and deleting is easy, as is duplicating a project or creating a template from it for recurring activities. Within a project, you can create different sections, which is extremely handy for segmenting different streams of activities within a project that holds numerous tasks. You can add people to a project, thus making them a member of it. They will receive a notification in their inbox inviting them to take part. PRO TIP: Within both projects and tasks, you can mention people and tasks using ‘@’, thus creating a hyperlink that creates relationships between items in Asana. The third and deepest level of organizing your work in Asana is called tasks. Simply put, they are to-dos. But in Asana, you can add a variety of additional information to them, making them the real powerhouse of your work. Besides the title of the task, you can add a description with further details and directions about it. You can create subtasks for more complex jobs, and include attachments to keep relevant documents in the right place. Files can be uploaded directly to Asana or through Google Drive, Dropbox and other cloud drives. Tasks can be tagged, so they can be easily discovered in context. You can also add followers so that these individuals are notified whenever there is some activity within a task. And of course, you can add due dates — even down to hours and minutes. People can leave comments under tasks and mention other people or projects by using the mention ‘@.’ And you can ‘love’ comments by clicking the heart button. PRO TIP: You can switch how you and other members of your team see tasks. They can be arranged according to different priorities – incomplete, completed, by project, by assignee, and by due date. PRO TIP 2: You can add tasks to multiple projects at once. Just enter the names of the projects above the task title. Smooth, right! If you are really attached to your mailbox, don’t worry. 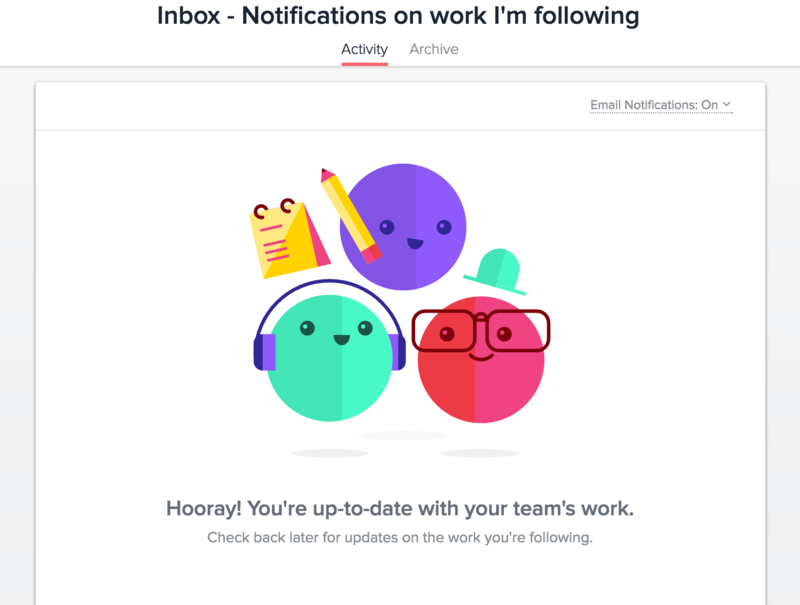 Asana will provide you with an inbox of your own — without switching tabs. There you get notifications about all activities that are of interest for you. For example, if you are added as a follower to a task, you will be able to see relevant activity there. The same goes for cases when you are mentioned in a comment. All the tasks you are assigned to are visible in the next tab, My Tasks. The calendar in Asana is one of its real treasures. Instead of a stand-alone app, it is integrated as an alternative view for your tasks. This means that you can easily switch between ‘list view’ and ‘calendar view,’ so that you are able to see which tasks are due when. Working together is a social activity, and Asana certainly accounts for that. The group of people who are members of the workspace is visible in the menu Team. Each of these members can assign and be assigned to projects and tasks. Team leaders have a great level of control because they can adjust how much a member can alter projects and tasks and what is visible to them. 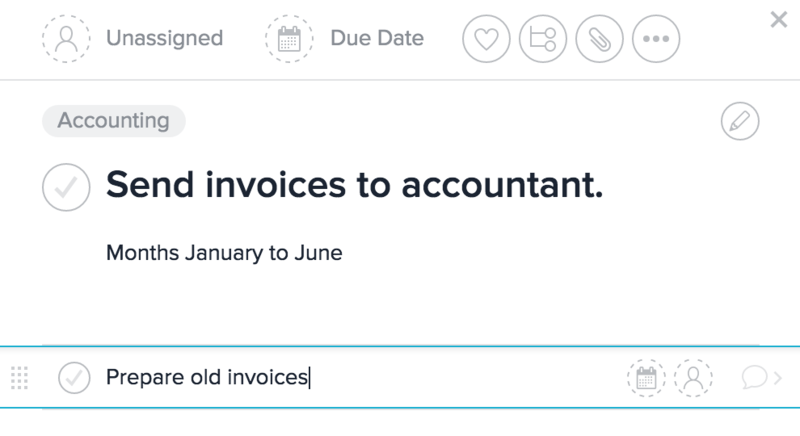 The best part about Asana? You can easily plug it in with the rest of your work tools. Dropbox, Hubstaff, Google Drive, Instagantt, Zapier, Slack, and MailChimp are only a few of the numerous Asana integrations. 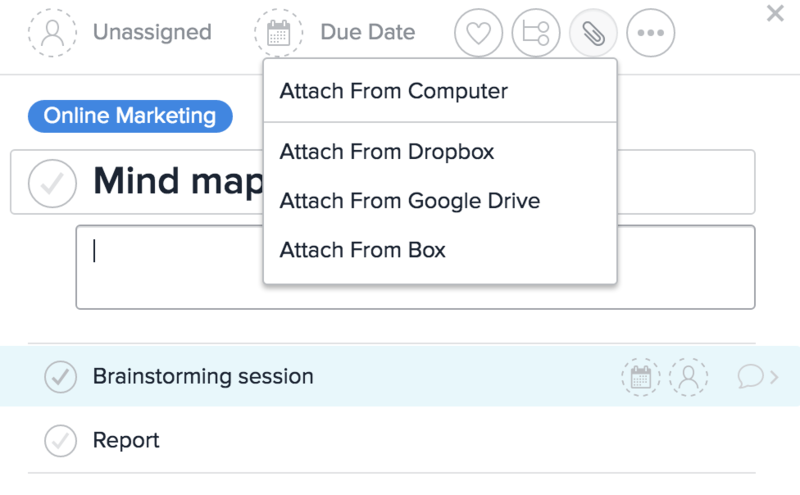 In the case of Dropbox, you can easily upload files to an Asana task straight from it because it’s built in Asana’s menu. For many of the other tools, you can add Asana via their interfaces – i.e. with Slack and Hipchat. Asana also integrates with Hubstaff’s time tracking software. With their chrome extension, you can track time on Asana tasks from within Asana’s dashboard itself. Pretty cool, right? Here are step-by-step instructions to set up Asana’s time tracking integration with Hubstaff. While Asana’s internal structure is amazingly smart, wait till you see it put in practice for organizing your team’s work. Let’s say you need to set up a project for your team collaboration on a client’s online marketing project. How to go about that in Asana? 1. Within your company’s workspace, create a new project. You can name the project easily, in this case — Online Marketing. 2. Add all team members who are going to work on the project. In this way, people will be kept on the same page. 3. Create Sections within the project to signify different activity areas. Sections are a great way to split the different project directions for better visibility. Besides clicking “Add Section,” you can create a section by adding ‘:’ at the end of the name of a task and it’s automatically turned into a section. 4. Create a task for each unit of activity. Splitting big projects into tasks gives you a possibility to tackle them more efficiently. 5. Set the assignee of each task and the due date. The assignee will be able to view all details about the task and the deadline. 6. Add a description of the task, subtasks and attachments. In this way, all relevant information for each task will be in the right place. TOP TIP: 8. Mention team members and other tasks with ease. 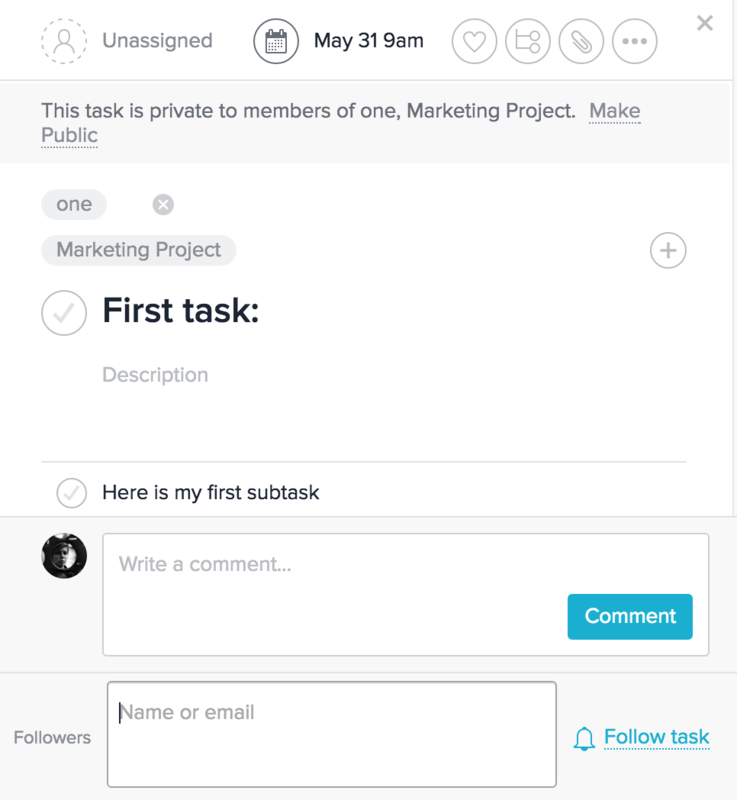 You can mention team members and link to other tasks by writing ‘@” in the comments box. People will receive a notification in their inbox. Hyperlinked projects and tasks will be thus related to the current task. Once you’ve broken down a huge project into Sections of different activities, created individual tasks for each to-do, and added subtasks and other relevant information, you and your team members have set the ground for well-organized and timely execution of your client’s work. An important tip to remember is that it’s always useful to separate your team tasks from your personal ones. 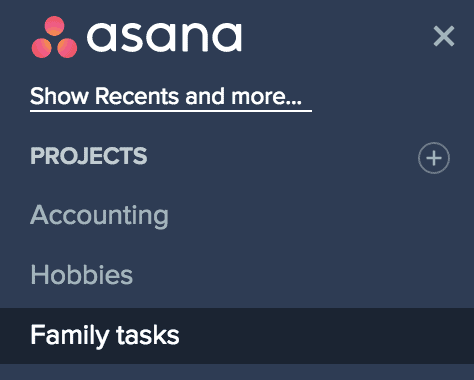 Asana is there to help with that – just choose ‘Personal Projects’ from your profile menu instead of the team projects you’re a part of. How to start using Asana for your personal projects and tasks? Let’s take it step by step. 1. Create a project for each of your main activities. 2. Add tasks with due dates, description, subtasks, and attachments. 3. Keep tabs on all your tasks from the calendar view. Just hit Tab+X and all other windows in your Asana will disappear but the current task you are working on. This will help your concentration while you stop worrying about the pile of work waiting for you after. If you’re into flying unicorns, cats, and rainbows, here are some fun ways to use Asana. Yeah, project management isn’t all serious. 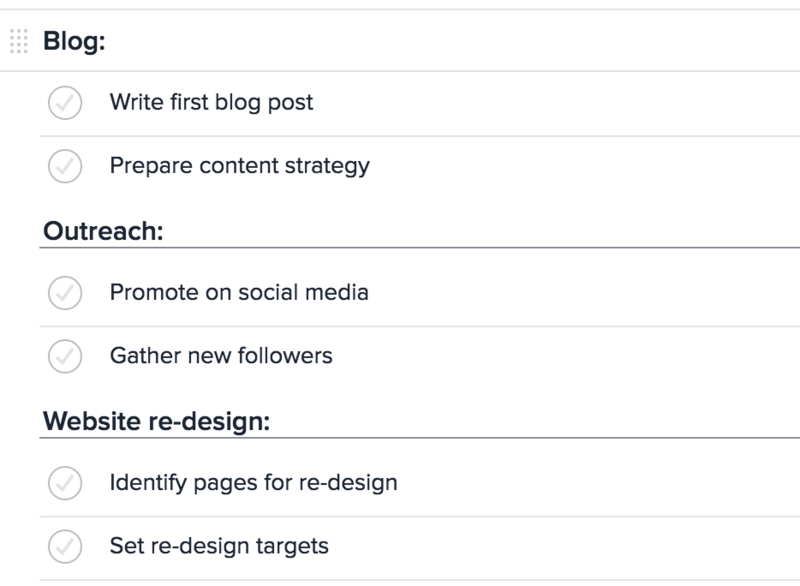 As this thorough guide shows, Asana can be used for managing practically all kinds of work: from creative teamwork to personal organization. It’s packed with a bunch of useful features and enables as many different uses as there are teams and individuals. What’s your favorite way to manage projects and stay on top of tasks with Asana? We can’t wait to hear about it in the comments!